KARUIZAWA, NAGANO PREF. 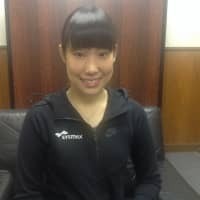 - Two seasons ago Mai Mihara burst onto the scene with victories at the Four Continents Championships and Nebelhorn Trophy, plus solid showings on the Grand Prix circuit, and a fifth-place finish at the world championships. It appeared as if Japan had a new star on its hands. She was beautiful, elegant and talented. Almost angelic. But life in the skating fishbowl can change in a hurry and last season Mihara found her fortunes had turned despite again posting respectable results. The Kobe native missed out on the Pyeongchang Olympics and world championships, the two prized competitions of the season. Part of that was attributable to the deep pool of talent among Japan’s senior women skaters. With Satoko Miyahara, Kaori Sakamoto, Wakaba Higuchi, Marin Honda, Rika Hongo and Yuna Shiraiwa all vying for the two Olympic and world spots last season, it was clear that some talented skaters were going to miss out. The 19-year-old Mihara is hoping to get back on track this season starting with the NHK Trophy in Hiroshima on Friday. While acknowledging that she has many challengers in Japan, Mihara believes that is a positive. “I enjoy the competition among the senior Japanese ladies,” Mihara remarked. Mihara, who started skating at the age of 8, says she is confident heading into her GP season debut. Mihara, who says Mao Asada was her idol growing up, is enthusiastic about both of her programs for the season. Her free skate is a holdover from last season. Both programs were arranged by legendary choreographer David Wilson. I wondered what Mihara, who placed fourth at her two GP assignments last season, wants from a choreographer. Mihara, who was third at the Japan nationals two seasons ago, puts her trust in someone who has the track record that Wilson does. Ice Time asked Mihara, who took second behind Olympic champion Alina Zagitova at the Nebelhorn Trophy in September, what her goals were for this season. Mihara told Ice Time she was moved by the efforts of all of her compatriots in Pyeongchang. I questioned Mihara about the most difficult aspects of being a skater. In the little spare time she does have, Mihara relaxes with music. I queried Mihara about which skaters from her era she most admired. “Yuzu, Patrick (Chan) and Carolina Kostner,” Mihara responded. When the curtain comes down on her days as a competitor, Mihara would like to remain close to the sport. Ice Time wanted to know if Mihara found it challenging to skate overseas. “I don’t feel stress skating outside of Japan,” Mihara claimed. 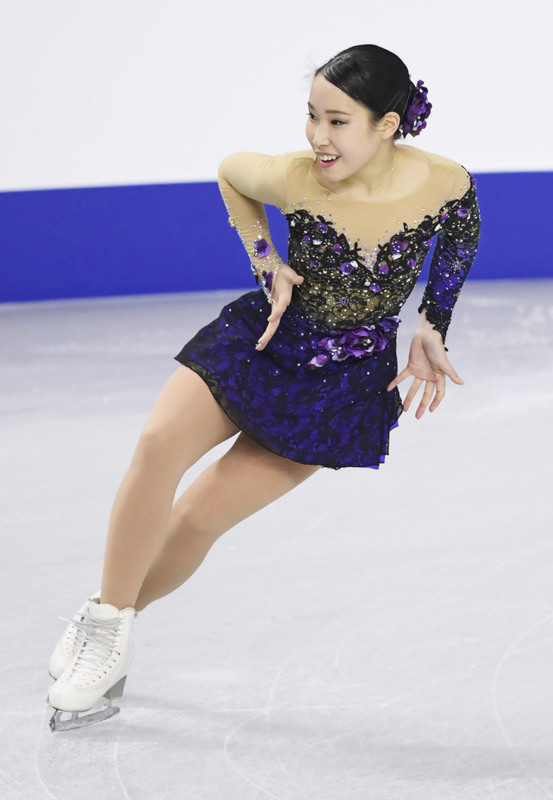 Mihara, who told me she likes skating in shows, indicated that she most enjoys taking part in the exhibition gala after an event. Mihara concluded by saying that she finds inspiration from her many fans in Japan.